Camp activities include horseback riding, archery, sports and recreation, swimming, boating, fishing, theater arts, music, tennis, miniature golf, arts and crafts, adventure and high-ropes, and woodworking. Camper diagnoses include cancer, sickle cell disease, hemophilia, HIV/AIDS, metabolic illnesses and other rare diseases. The Hole in the Wall Gang medical staff on site can provide medical care including medications (oral, G-tube, IV, shots, chemotherapy, IV factor), nutrition (special diets, G-tube, IV), respiratory care (including nebulizer treatments and supplemental oxygen), and central line care and dressing changes. 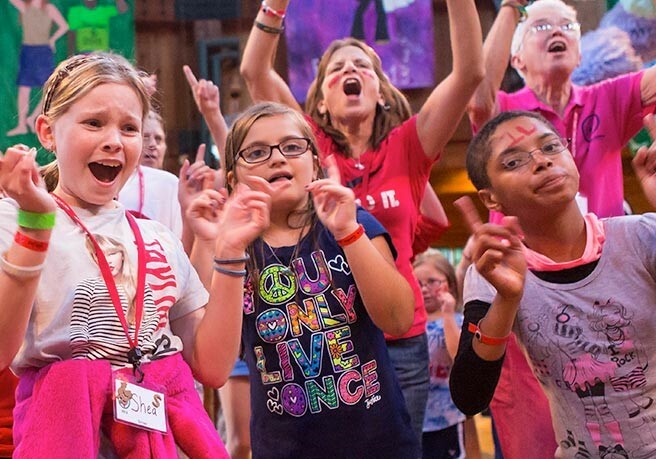 Funds from the Joy in Childhood Foundation help provide transportation, medical care, ’round-the-clock supervision, activities, meals and everything needed to make Camp an incredible experience. For more information, visit https://www.holeinthewallgang.org/.